The Department of Health Care Services in Alaska offers efficient health care services to the people of Alaska to enhance the health and living standards of the community. It also provides good instructions in the understanding of the various Medicaid policies and to avail the optimum health care benefits from the policies. The Department of Health and Social Services is actively implementing many health regulating services and policies to ensure optimum health benefits to the people. The various agencies and divisions which work under the department are: Health Care Services, Juvenile Justice, Public Health and Services, Seniors and Disabilities Services, Office of Children’s Services and Behavioral Health. One notable initiative of the Alaska Department of Health and Social Services is the Patient Protection and Affordable Care Act, accepted on March 2010 . The Act has uplifted the entire state health care system and many has been benefited from the same. The Alaska Health Care Commission tracks and oversees the smooth implementation of this Act. Fairbanks Memorial Hospital - Fairbanks, Fairbanks North Star Borough. Yukon-Kuskokwim Health Corporation - Bethel, Alaska. 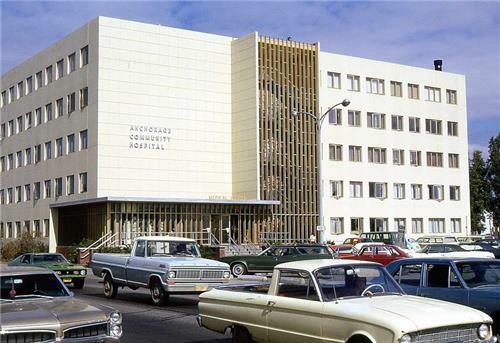 Alaska Regional Hospital is one of the prestigious hospitals in Anchorage, Alaska that delivers superior care and healing to one and all. The services provided by the hospital include, Cancer Care Services, Cardiovascular Services, Emergency Care, Imaging & Radiology, Laboratory Services, Life Flight Air Ambulance, Neuroscience Center, Orthopedic and Spine Center, Women’s services, and Family Birth Center. Fairbanks Memorial Hospital is supervised and operated by the non-profit health care system, Banner Health. The hospital is managed and maintained by the Greater Fairbanks Community. Some of the distinct programs and services offered by the hospital include, the Fairbanks Imaging Center, awarded with a Vista Award for New Construction, Cancer Care, Diabetes, Emergency Care, Heart Care, Home Health, Long-term Care, Maternity Services, Medical Imaging, Orthopedics, Pain Management, Pediatrics, Rehabilitation, Sleep Disorders, Surgery, Women's Services, and Wound Care. The hospital has been recognized with many awards, namely, Mountain-Pacific Quality Health Care Achievement Award, The American Hospital Association Carolyn Boone Lewis Living the Vision Award, Modern Healthcare Trustee of the Year Award. North Star Behavioral Center in Alaska is the principal behavioral health care provider of the state. The Center works to render services to those children facing psychiatric crisis. At North Star, there are many programs and services that help nurture the young people and recognize their problems and difficulties. The center brings all families and communities together to promptly act to the needs of the children and teenagers so that they enjoy a peaceful and youthful growth. The various programs offered by the center include, Milieu therapy, Medication management, Individual & Family therapy, Behavioral management plans, Activity/recreation therapy, Anger management & De-escalation therapy, and Crisis intervention. The North Star has its various treatment centers and campuses at Debarr, Bragaw and Palmer. For any information on North Star Behavioral Health Center please call the intake department at (907)258-7575 or (800) 478-7575-Toll Free in Alaska or Click here. Life Alaska Donor Services is Alaska’s top tissue and organ donor organization which works in collaboration with Life Center northwest in Washington. Life Alaska includes many programs and services to educate the people on organ and tissue transplantation and also features a Family Services program that recognizes and honors the donor family and the testimonies of the recipients. Life Alaska has been successful in supplying tissues and organs to many Alaskan patients in need. The Blood Bank of Alaska is a notable organization in Alaska dedicated and committed in supplying superior blood products and other services to many patients in need. It offers Whole Blood Donation and Automated Blood Donation. It seeks and honors all donors who are willing to donate blood and also provide proper guidelines on diet and health regimes to the donor. For more information on Blood Bank of Alaska Click here . Medicaid is a program initiated by the federal government to finance for health care services to the low income Alaskans. The program is managed by the state Division of Health Care Services (DHCS). The Division of Public Assistance takes into account the eligibility criteria to avail the policy and also decides which services are to be covered for the particular group. The program finances low income children, pregnant women, seniors, blind and the permanently disabled. The Children’s Health Insurance Program is a state administered program but it is jointly funded by the federal as well as the state government. The program was launched in 1997 , to finance the children in high income families who are not eligible for Medicaid, but who cannot pay for private policy. A new act called Affordable Care Act was implemented to help people choose an affordable insurance plan or a Basic Health Program (BHP) for low income people. Long Term Services and Supports provides immense support to the senior citizens, psychiatric patients, and people with disabilities. The service includes Institutional Care and Community Based Long Term Services. Institutional Care covers Hospital services, Nursing Services, Pre-admission Screening & Resident Review (PASRR), Intermediate Care Facilities for People with Mental Retardation (ICF/MR), Inpatient Psychiatric Services for Individuals Under Age 21 and Services for Seniors of age 65 or above for Mental diseases. Licensed and certified institutions offer residential facilities and the in patients are provided quality health care services. Community Based Long Term Services is a person driven system to support disabled people or people with chronic conditions to live a better independent and healthier life. Under this service, they have the liability to choose with whom and where to live, leverage over the services they receive, and also have the freedom to work and earn money. For any information on Medicaid Click here. The Nursing Homes in Alaska provide quality health care services and support to the elderly and chronically ill people. Many measures are implemented to help improve the living standards in the nursing homes. The top nursing homes in Alaska are listed below. The Alaska Bureau of Vital Statistics maintains the vital records which are strictly confidential until they are declared as public records. The records include birth certificate (adoption records), death certificate, marriage certificate, divorce certificate, foetal death records, infant mortality rate and other health related statistics.